Have you heard of Pretty Fluffy? Like most things these days, I discovered this site via Pinterest and was instantly hooked. With stories about the cutest canine accessories, recipes for Fido-friendly treats, and—my personal favorite—galleries full of pooch photo shoots, this online destination is a dog lover’s dream come true. 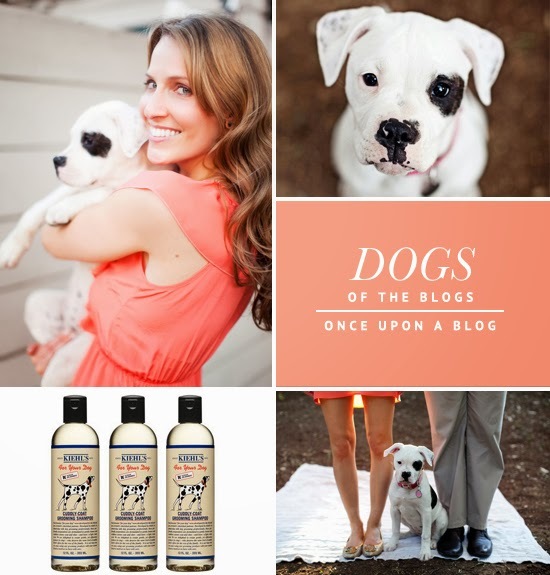 So I was beyond excited when they asked to interview me for their Dogs of the Blogs series. For the interview, I got to dish all about my dog Daphne, from her superpower (it involves cuddling) to her favorite shampoo (Kiehl’s). I also talk about why I started blogging and what my most popular post is so far (hint: I didn’t write it). For all of the furry details, head on over to Pretty Fluffy. While you’re there, I also recommend checking out their DIY for these adorable canine wine toppers. I’m totally guilty of pinning crafty projects and then forgetting all about them, but these are too cute and simple to pass up. Because it doesn’t get better than puppies and Pinot, right?